Source: I received an ARC from the author in exchange for an honest review. The opinions expressed here are my own. I love history. It amazes me how much I really do not know, especially about American History. Teri Kanefield has once again done an exceptional job of bringing history to life. 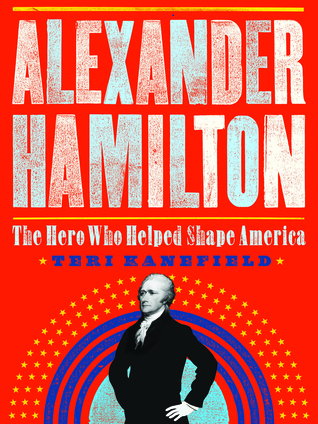 Her book about Alexander Hamilton opened my eyes to a man I realized I really knew nothing about. He starts off life in another country, poor, abandoned and making his own way in life. When given the opportunity to come to America he jumps at the chance. His mind for learning amazed me. I had no idea how much influence he had in shaping what we now call the United States of America. He married a woman who came from a wealthy family with the understanding that he was poor and would probably always be that way. She loved the man he was and agreed to the marriage. He put so much into this country. 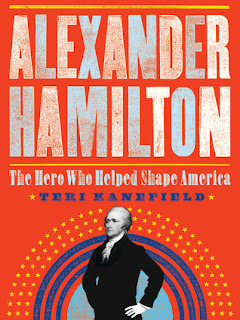 Through reading this book you get a well-rounded picture of the man and his love for this country. You get a first-hand look at how much he was willing to sacrifice for it. I learned what an elegant writer he was. For the history lover, this is a must read book. This is a book that will definitely go on my shelves. It is a book that I want my students to read. It is a book I will recommend to our History department as a valuable resource. Teri has included some of his writings in the back of the book. More importantly was the timeline and endnotes she included. Such a valuable resource, yet it held my attention and I read it in one sitting. This is a must read book. This book will be published in March of 2017.